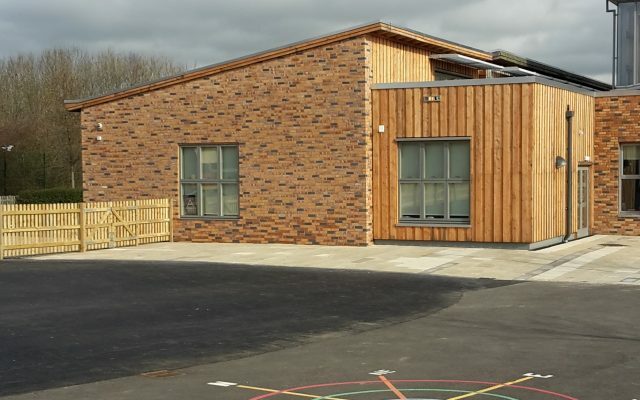 J Harper and Sons (Leominster) Ltd constructed a timber frame extension providing the school with an additional classroom and toilet block. The build incorporated a range of modern and traditional building techniques, the roof is a green roof system and the external walls are insulated with a recycled material. The internal and external brickwork has been constructed in a pattern which had been designed by the children of the school. J Harper and Sons (Leominster) Ltd engaged as much as possible with the school throughout the project and delivered site safety talks to the children in assembly. 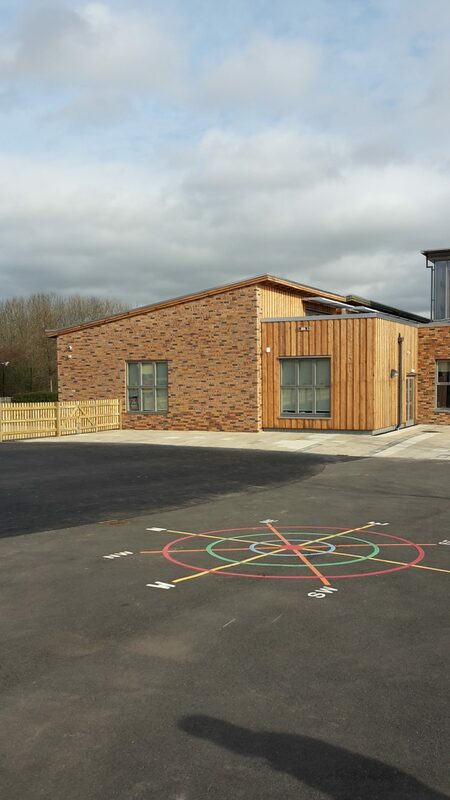 Externally the school benefited from an additional tarmac area to the playground and a planting scheme designed to segregate the year groups of the school.